Handles server->client commands; See player.c for client->server commands. This file contains most of the commands for the dispatch loop. Most of the functions are self-explanatory. pixmap/bitmap : receive the picture, and display it. drawinfo : draws a string in the info window. stats : updates the local copy of the stats and displays it. handle_query : prompts the user for input. send_reply : sends off the reply for the input. player : gets the player information. MapScroll : scrolls the map on the client by some amount. MapCmd : displays the map with layer packing or stack packing. packing/unpacking is best understood by looking at the server code (server/ericserver.c) stack packing: for every map entry that changed, we pack 1 byte for the x/y location, 1 byte for the count, and 2 bytes per face in the stack. layer packing is harder, but I seem to remember more efficient: first we pack in a list of all map cells that changed and are now empty. The end of this list is a 255, which is bigger that 121, the maximum packed map location. For each changed location we also pack in a list of all the faces and X/Y coordinates by layer, where the layer is the depth in the map. This essentially takes slices through the map rather than stacks. Then for each layer, (max is MAXMAPCELLFACES, a bad name) we start packing the layer into the message. First we pack in a face, then for each place on the layer with the same face, we pack in the x/y location. We mark the last x/y location with the high bit on (11*11 = 121 < 128). We then continue on with the next face, which is why the code marks the faces as -1 if they are finished. Finally we mark the last face in the layer again with the high bit, clearly limiting the total number of faces to 32767, the code comments it's 16384, I'm not clear why, but the second bit may be used somewhere else as well. The unpacking routines basically perform the opposite operations. Definition at line 76 of file commands.c. Definition at line 105 of file commands.c. Definition at line 2433 of file commands.c. 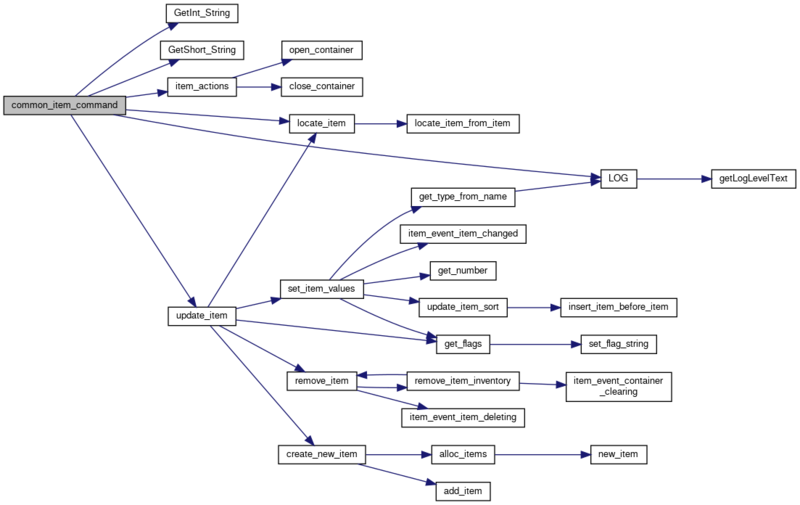 References ACL_CLASS, ACL_FACE, ACL_FACE_NUM, ACL_LEVEL, ACL_MAP, ACL_NAME, ACL_PARTY, ACL_RACE, choose_character_init(), GetShort_String(), LOG(), LOG_ERROR, map, MAX_BUF, name, and update_character_choose(). Handles when the server says we can't be added. In reality, we need to close the connection and quit out, because the client is going to close us down anyways. Definition at line 1083 of file commands.c. This is really a throwaway command - there really isn't any reason to send addme_success commands. Definition at line 1099 of file commands.c. References hide_all_login_windows(), LOG(), LOG_DEBUG, and show_main_client(). Definition at line 1135 of file commands.c. References Animations::faces, Animations::flags, GetShort_String(), LOG(), LOG_DEBUG, LOG_WARNING, MAXANIM, Animations::num_animations, Animations::phase, Animations::speed, and Animations::speed_left. Parses the data sent to us from the server. revision is what item command the data came from - newer ones have addition fields. Definition at line 1651 of file commands.c. References GetInt_String(), GetShort_String(), item_actions(), locate_item(), LOG(), LOG_WARNING, MAX_BUF, name, and update_item(). Definition at line 1823 of file commands.c. 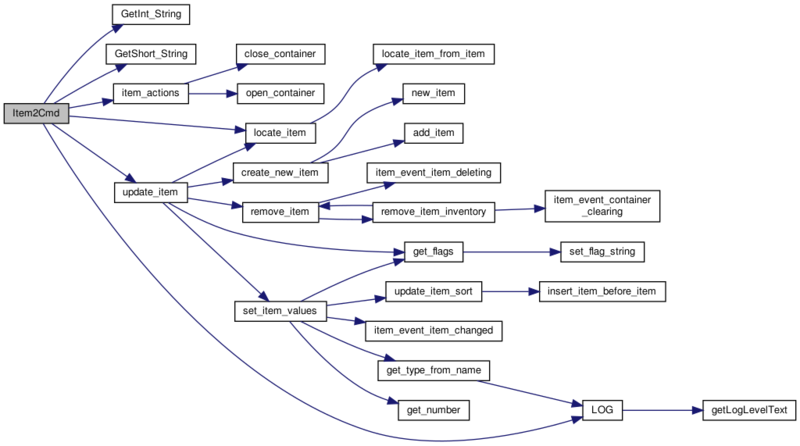 References locate_item(), LOG(), LOG_WARNING, and remove_item_inventory(). Definition at line 1797 of file commands.c. References GetInt_String(), locate_item(), LOG(), LOG_WARNING, and remove_item(). Definition at line 1264 of file commands.c. References getTextManager(), LOG(), and LOG_WARNING. Draws a string in the info window. Definition at line 1200 of file commands.c. References draw_ext_info(), LOG(), LOG_WARNING, MSG_TYPE_CLIENT, and MSG_TYPE_CLIENT_COMMAND. Handles a failure return from the server. buf buffer sent by server. Definition at line 2391 of file commands.c. 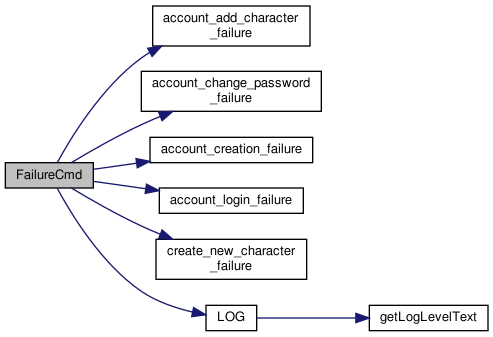 References account_add_character_failure(), account_change_password_failure(), account_creation_failure(), account_login_failure(), create_new_character_failure(), LOG(), and LOG_ERROR. This function clears the data from the Race_Class_Info array. Because the structure itself contains data that is allocated, some work needs to be done to clear that data. num_entries size of the array. Definition at line 420 of file commands.c. References Race_Class_Info::num_rc_choice, RC_Choice::num_values, and Race_Class_Info::rc_choice. Referenced by client_reset(), and ReplyInfoCmd(). Definition at line 134 of file commands.c. This is a little wrapper function that does some bounds checking and then calls process_race_info() to do the bulk of the work. Pretty much identical to get_race_info() except this is for classes. data data returned from server. Format is documented in protocol file. Definition at line 679 of file commands.c. References classes, LOG(), LOG_ERROR, new_char_window_update_info(), num_classes, process_race_class_info(), rc_compar(), and used_classes. Definition at line 705 of file commands.c. References exp_table, exp_table_max, GetInt64_String(), GetShort_String(), LOG(), and LOG_ERROR. This is process the newcharinfo requestinfo. In some cases, it stores away the value, for others, it just makes sure we understand them. The data is a series of length prefixed lines. Definition at line 247 of file commands.c. References cs_print_string(), csocket, ClientSocket::fd, free_all_starting_map_info(), GetChar_String(), LOG(), LOG_ERROR, LOG_WARNING, new_char_window_update_info(), NUM_STATS, short_stat_name, stat_maximum, stat_min, and stat_points. This is a little wrapper function that does some bounds checking and then calls process_race_info() to do the bulk of the work. Definition at line 648 of file commands.c. References LOG(), LOG_ERROR, new_char_window_update_info(), num_races, process_race_class_info(), rc_compar(), and used_races. Definition at line 732 of file commands.c. References CS_STAT_SKILLINFO, LOG(), LOG_WARNING, MAX_SKILL, and skill_names. Definition at line 172 of file commands.c. 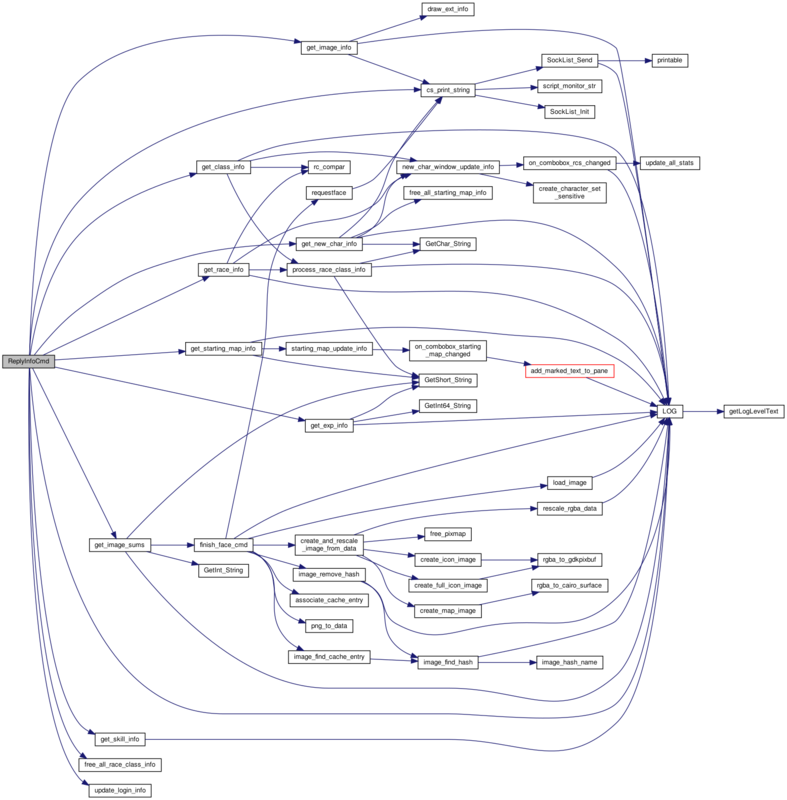 References Starting_Map_Info::arch_name, Starting_Map_Info::description, GetShort_String(), INFO_MAP_ARCH_NAME, INFO_MAP_DESCRIPTION, INFO_MAP_NAME, LOG(), LOG_ERROR, LOG_WARNING, Starting_Map_Info::public_name, starting_map_number, and starting_map_update_info(). Definition at line 1246 of file commands.c. References TextManager::callback, firstTextManager, TextManager::next, and TextManager::type. Definition at line 1115 of file commands.c. Prompts the user for input. Definition at line 1529 of file commands.c. References cpl, CS_QUERY_HIDEINPUT, CS_QUERY_SINGLECHAR, CS_QUERY_YESNO, draw_ext_info(), draw_prompt(), Player_Struct::input_state, LOG(), LOG_DEBUG, MSG_TYPE_CLIENT, MSG_TYPE_CLIENT_QUERY, NDI_BLACK, Player_Struct::no_echo, Reply_Many, Reply_One, and x_set_echo(). Definition at line 1702 of file commands.c. Definition at line 1629 of file commands.c. References close_container(), Player_Struct::container, cpl, item_struct::open, open_container(), and item_struct::was_open. Server gives us current player's pickup. data buffer sent by server. Definition at line 2377 of file commands.c. Gets the player information. This function copies relevant data from the archetype to the object. Only copies data that was not set in the object structure. Definition at line 1602 of file commands.c. References GetInt_String(), LOG(), LOG_WARNING, MAX_BUF, name, new_player(), and reset_player_data(). 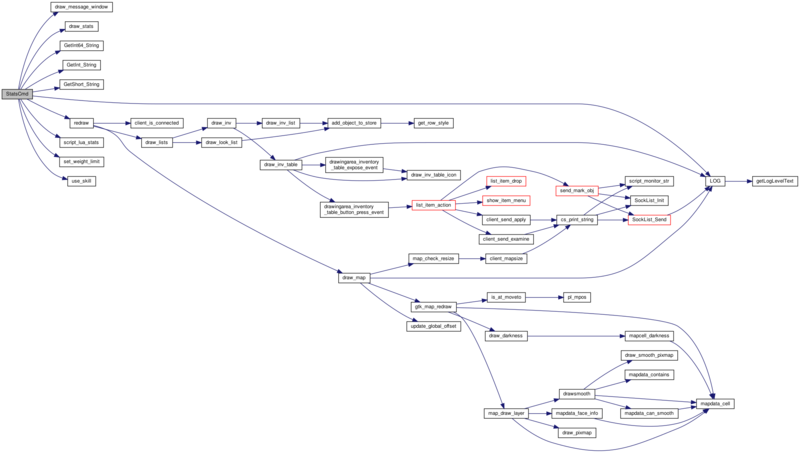 This extracts the data from a replyinfo race_info/class_info request. We only get this data if the client has made a requestinfo of this data. rci Where to store the data. Definition at line 469 of file commands.c. 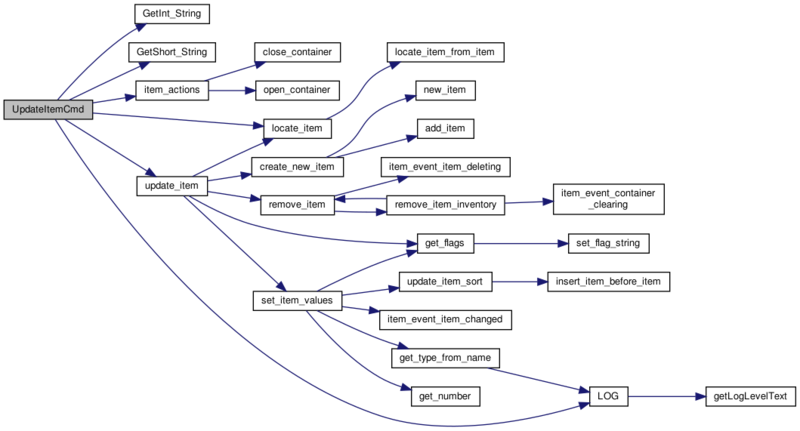 References Race_Class_Info::arch_name, ASSERT_LEN, RC_Choice::choice_desc, RC_Choice::choice_name, Stat_Mapping::cs_value, Race_Class_Info::description, GetChar_String(), GetShort_String(), LOG(), LOG_WARNING, NUM_NEW_CHAR_STATS, Race_Class_Info::num_rc_choice, RC_Choice::num_values, Race_Class_Info::public_name, Race_Class_Info::rc_choice, Stat_Mapping::rc_offset, Race_Class_Info::stat_adj, RC_Choice::value_arch, and RC_Choice::value_desc. Referenced by get_class_info(), and get_race_info(). Definition at line 405 of file commands.c. Handles the response from a 'requestinfo' command. This function doesn't do much itself other than dispatch to other functions. Definition at line 774 of file commands.c. References classes, cs_print_string(), csocket, ClientSocket::fd, free_all_race_class_info(), get_class_info(), get_exp_info(), get_image_info(), get_image_sums(), get_new_char_info(), get_race_info(), get_skill_info(), get_starting_map_info(), INFO_MOTD, INFO_NEWS, INFO_RULES, LOG(), LOG_DEBUG, motd, news, num_classes, num_races, rules, update_login_info(), used_classes, and used_races. Sends a reply to the server. This function basically just packs the stuff up. text contains the null terminated string of text to send. Definition at line 1585 of file commands.c. References cpl, cs_print_string(), csocket, ClientSocket::fd, Player_Struct::no_echo, and x_set_echo(). Referenced by keyfunc(), and on_entry_commands_activate(). Definition at line 1224 of file commands.c. Received a response to a setup from the server. This function is basically the same as the server side function - we just do some different processing on the data. Definition at line 901 of file commands.c. References client_disconnect(), CONFIG_CACHE, CONFIG_MAPHEIGHT, CONFIG_MAPWIDTH, cs_print_string(), csocket, draw_ext_info(), face_info, Face_Information_struct::faceset, ClientSocket::fd, LOG(), LOG_DEBUG, LOG_INFO, LOG_WARNING, mapdata_set_size(), MAX_BUF, MSG_TYPE_CLIENT, MSG_TYPE_CLIENT_SERVER, NDI_RED, resize_map_window(), spellmon_level, start_login(), and use_config. Definition at line 2349 of file commands.c. Receives the smooth mapping from the server. Because this information is reference a lot, the smoothing face is stored in the pixmap data - this makes access much faster than searching an array of data for the face to use. Definition at line 1180 of file commands.c. Updates the local copy of the stats and displays it. Definition at line 1341 of file commands.c. References Stat_struct::ac, Stat_struct::attuned, Stat_struct::Cha, Stat_struct::Con, cpl, CS_NUM_SKILLS, CS_STAT_AC, CS_STAT_ARMOUR, CS_STAT_CHA, CS_STAT_CON, CS_STAT_DAM, CS_STAT_DEX, CS_STAT_EXP, CS_STAT_EXP64, CS_STAT_FLAGS, CS_STAT_FOOD, CS_STAT_GRACE, CS_STAT_HP, CS_STAT_INT, CS_STAT_LEVEL, CS_STAT_MAXGRACE, CS_STAT_MAXHP, CS_STAT_MAXSP, CS_STAT_POW, CS_STAT_RANGE, CS_STAT_RESIST_END, CS_STAT_RESIST_START, CS_STAT_SKILLINFO, CS_STAT_SP, CS_STAT_SPEED, CS_STAT_SPELL_ATTUNE, CS_STAT_SPELL_DENY, CS_STAT_SPELL_REPEL, CS_STAT_STR, CS_STAT_TITLE, CS_STAT_WC, CS_STAT_WEAP_SP, CS_STAT_WEIGHT_LIM, CS_STAT_WIS, Stat_struct::dam, Stat_struct::denied, Stat_struct::Dex, draw_message_window(), draw_stats(), Stat_struct::exp, Stat_struct::flags, Stat_struct::food, GetInt64_String(), GetInt_String(), GetShort_String(), Stat_struct::grace, Stat_struct::hp, Stat_struct::Int, item_struct::inv_updated, Stat_struct::level, LOG(), LOG_WARNING, Stat_struct::maxgrace, Stat_struct::maxhp, Stat_struct::maxsp, Player_Struct::ob, Stat_struct::Pow, Player_Struct::range, redraw(), Stat_struct::repelled, Stat_struct::resist_change, Stat_struct::resists, script_lua_stats(), set_weight_limit(), Stat_struct::skill_exp, Stat_struct::skill_level, Stat_struct::sp, Stat_struct::speed, Player_Struct::spells_updated, Player_Struct::stats, Stat_struct::Str, Player_Struct::title, use_skill(), Stat_struct::wc, Stat_struct::weapon_sp, Stat_struct::weight_limit, and Stat_struct::Wis.
Got a tick from the server. We currently don't care what tick number it is, but just have the code in case at some time we do. Definition at line 2360 of file commands.c. References client_tick(), GetInt_String(), and tick. Definition at line 1713 of file commands.c. References item_struct::anim_speed, item_struct::animation_id, item_struct::env, item_struct::face, item_struct::flagsval, GetInt_String(), GetShort_String(), item_actions(), locate_item(), LOG(), LOG_WARNING, MAX_BUF, name, item_struct::nrof, item_struct::tag, item_struct::type, UPD_ANIM, UPD_ANIMSPEED, UPD_FACE, UPD_FLAGS, UPD_LOCATION, UPD_NAME, UPD_NROF, UPD_WEIGHT, update_item(), and item_struct::weight. Maintain the last_used_skills LRU list for displaying the recently used skills first. Definition at line 1316 of file commands.c. Definition at line 55 of file commands.c. Referenced by Map2Cmd(), and MapExtendedCmd(). Definition at line 82 of file commands.c. Definition at line 107 of file commands.c. Keeps track of what spellmon command is supported by the server. Definition at line 85 of file commands.c. Referenced by AddspellCmd(), and SetupCmd().